They played angry. Brian Price and Gerald McCoy are going to be scary good eventually and Dekoda Watson knows how to finish. You gotta love 3 turnovers when your offense has an off day. It was out of sync and Freeman threw 2 picks. 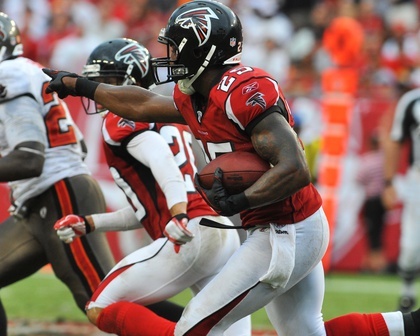 Freeman’s last two-pick game was November 7th and his last game with a -2 TD-to-INT ratio was December 27th, 2009. Freeman did run for a touchdowns. Matt Ryan looks to have regressed a little in his third year and they did not get in the end zone much in two of their first three games. He’ll get fined for the shoulder-to-helmet tackle but the Buccaneers should have been handed 15 yards. 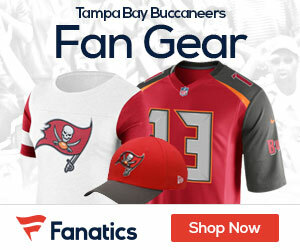 LOOKING AHEAD: Tampa Bay is looking at two interesting possibilities on Monday Night Football: a past-his-prime Kerry Collins or a never-started-or-thrown-more-than-28-completions Curtis Painter. Now, option 3 and 4 are still out there: Carson Palmer and David Garrard. The Bucs are a more talented team than the Colts, period. Better running back, better secondary, better quarterback. They should be 3-1 before they go to London. Bucs don’t go to London until after week 6, after MNF they have to face a tough road game at San Francisco on short week, then home against the Saints before they go to Wembley.